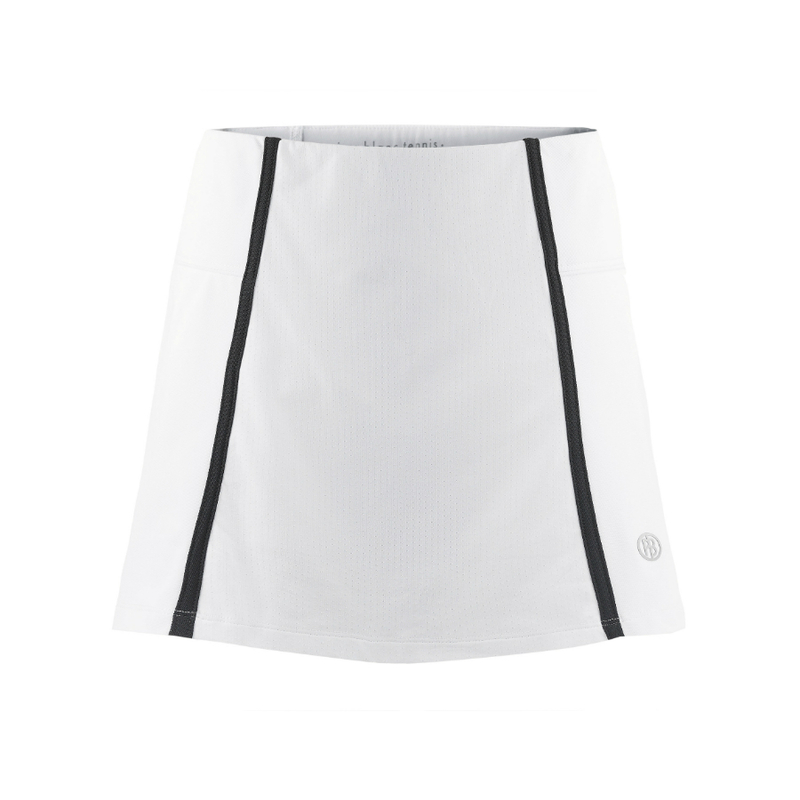 Poivre Blanc Ladies TENNIS Skort – Great design from this exclusive tennis wear brand. 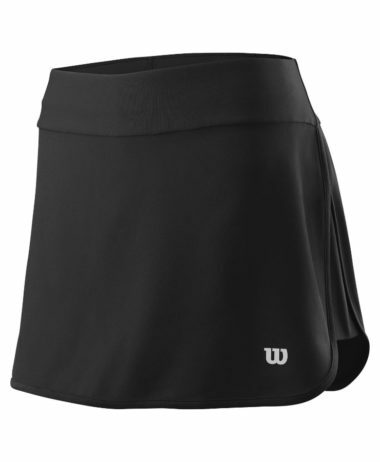 Top quality design and fabric -skirt with compression under shorts, and ball pocket. 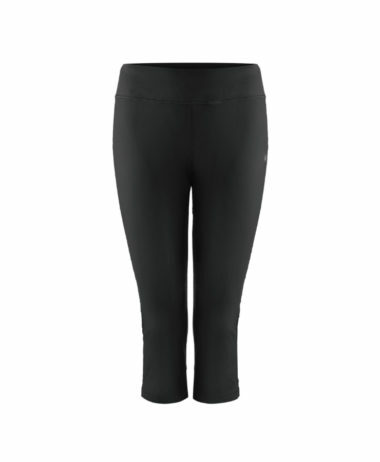 It is made with Meryl premium yarns and gives four-way stretch thanks to elastane fabric. 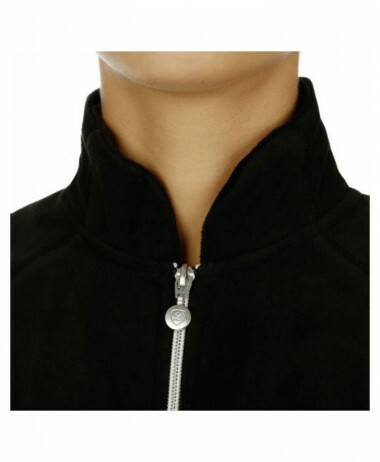 Measures a flattering 14″ / 36cm in length . 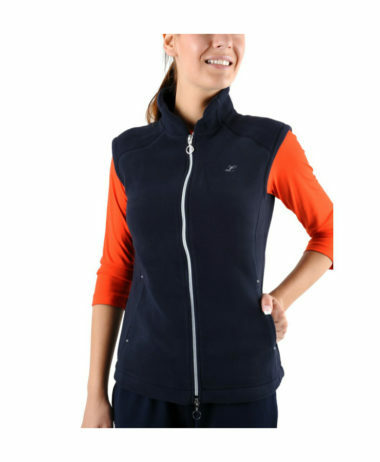 This garment has UVA and UVB protection. 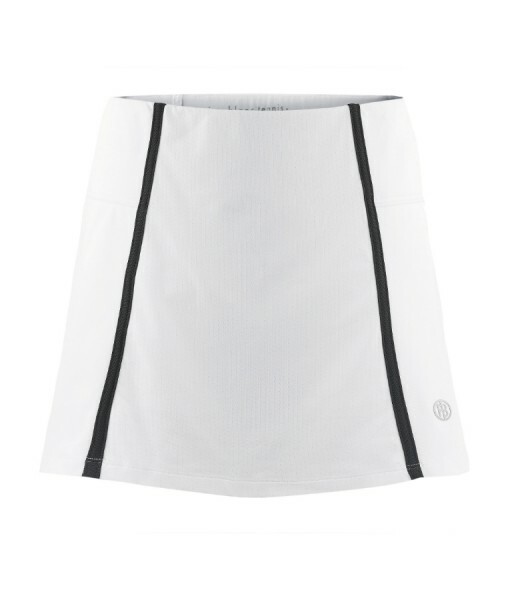 The perfect skirt for tennis, squash, badminton or racketball. 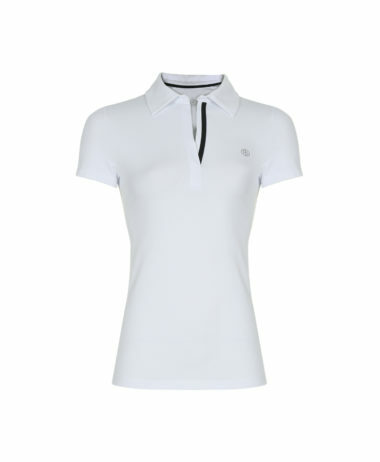 Poivre Blanc are a French producer of both premier ski wear and top quality ladies tennis clothing. 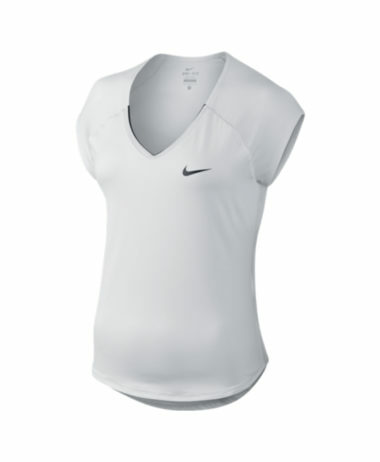 Their clothing range is only available in the UK from a very small number of specialists – visit us at Pure Racket Sport, Farnham, Surrey for their full range of clothing – several pieces of which are not on this website. Open 7 days a week with a free, customer car park right outside the entrance ! Integrated shorts in white – super soft fabric.